Nestled between the Appalachian Mountains and the Atlantic Ocean, North Carolina is often thought of as a destination for hiking, fishing, and sunbathing on the beach. However, the state is also home to a surprising number of excellent amusement parks suitable for thrill seekers and young children alike. Depending on where your interests lie, you can hop on a scream-inducing roller coaster, pay a visit to Santa in the middle of summer, or spend the afternoon cooling off in a waterpark. If you're planning a trip to North Carolina, here are the amusement parks you should consider visiting while you're there. Often considered to be one of the best boardwalks in the United States, Carolina Beach Boardwalk Amusement Park offers a wide variety of classic family fun. 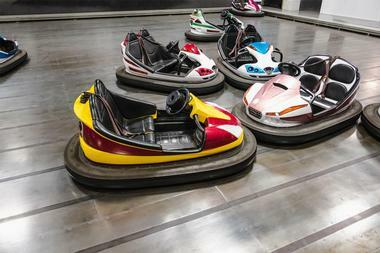 The selection of rides includes a Ferris wheel and a carousel, and there are also plenty of arcade games suitable for people of all ages. 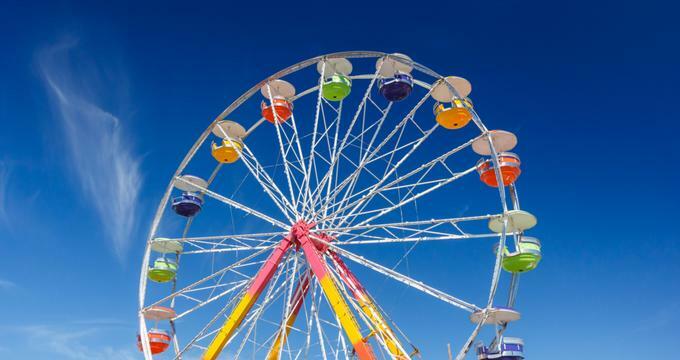 Donuts, fudge, and other treats are available from the numerous concessions, and the boardwalk is lined with bars and restaurants that provide plenty of after-dark entertainment. Live music is held once a week during the summer, and the show is typically followed by a colorful fireworks display. Conveniently located right off Interstate 77 on the border of North and South Carolina, Carowinds is a is a giant 400-acre amusement park with more than 50 exciting rides for visitors to enjoy. 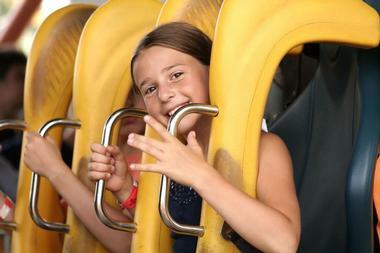 One of the most popular rides in the park is a 325-foot-tall roller coaster known as the Fury 325, but there are also a dozen other roller coasters as well as plenty of thrilling rides like the Slingshot and kid-friendly rides designed with families in mind. 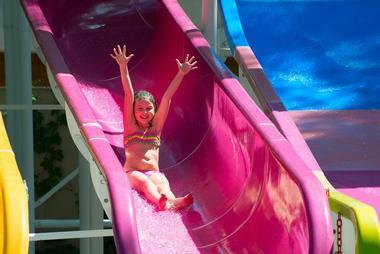 The price of admission also includes access to Carolina Harbor, the 27-acre waterpark nestled inside the park. 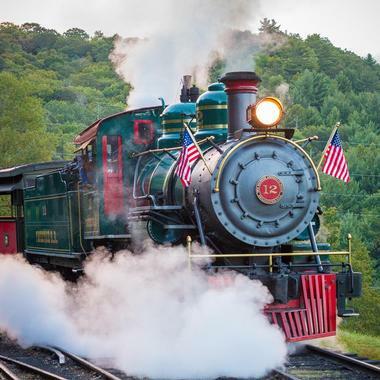 Proudly family owned and operated, Deadwood is a unique Western theme park with a full-service restaurant and plenty of fun entertainment options for the whole family. 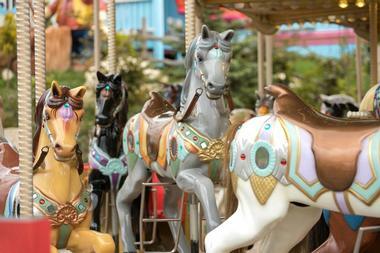 Ride options include a classic carousel, a roller coaster, and a train that runs through the park, but visitors can also entertain themselves by heading to the arcade room, playing a round of mini-golf, or by watching one of the live shows that regularly take place on the main stage. The park is open throughout the year, and it's transformed into a spooky Halloween village during the month of October. 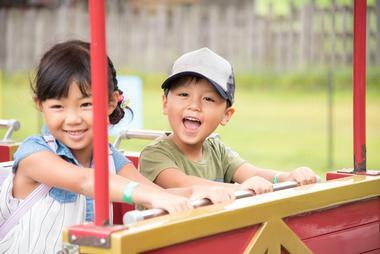 Offering something for everyone, Frankie's Fun Park is an exciting amusement center with enough rides and games to keep the whole family entertained all day. Visitors can get active on the ropes course, in the batting cages, or on the mini-golf course, but they can also immerse themselves in a virtual world in the arcade or on the flight simulator. There is no admission fee to enter the park; instead, visitors pay for each activity as they go. Drinks and snacks are available on-site, and the park is proud to offer birthday party packages with pizza and access to the rides. Featuring both a waterpark and a dry park, Jungle Rapids Family Fun Park is a great destination year round. 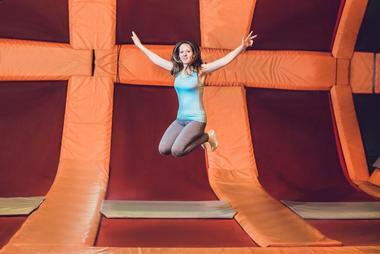 The waterpark offers a large wave pool, a lazy river, a kiddie splash pool, and plenty of exciting slides, while the dry portion of the park features an indoor rock climbing wall, a laser tag arena, a jungle-themed indoor playground, a large arcade, and a snack shack selling tasty food and beverages. Most of the park is open throughout the year, but the water park is only open between late May and early September. Found just outside the entrance to Great Smoky Mountains National Park, Santa's Land is a Christmas theme park with plenty of rides, shows, and attractions. One of the biggest highlights is the opportunity to meet Santa, but visitors can also marvel at the animals in the zoo, enjoy the rides, paddle boats around the lake found in the park, and watch exciting live magic shows. The park is open every day between the middle of May until the end of October, and discounted admission is available for birthday parties and groups of 20 or more people. Visiting a water park is one of the best ways to cool off during a hot North Carolina summer, and the Wet'n Wild Emerald Pointe Water Park offers more than 36 exciting attractions with something for children and adults alike. Highlights include a thrilling open slide with a 76-foot drop and a tube slides with two 360° spins, but there is also a special play area with kiddie slides designed specifically for young children. Plenty of food and drinks are available on-site, and table service is offered to guests who rent one of the park's private cabanas.